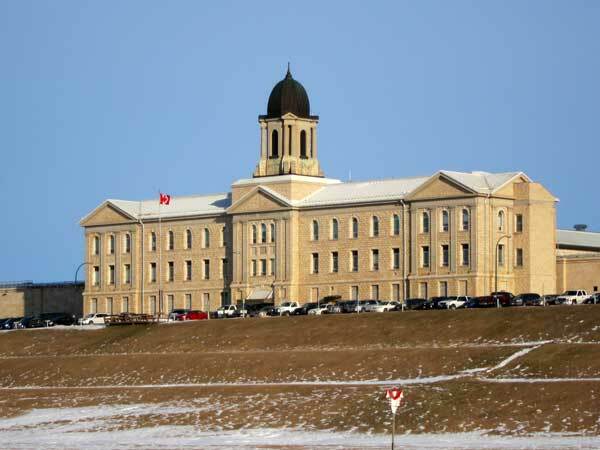 Initially located at Lower Fort Garry, a provincial penitentiary was established here, on a natural hill in the Rural Municipality of Rockwood, in 1877 with Samuel L. Bedson as Warden. The structure was built by contractor James Barclay. 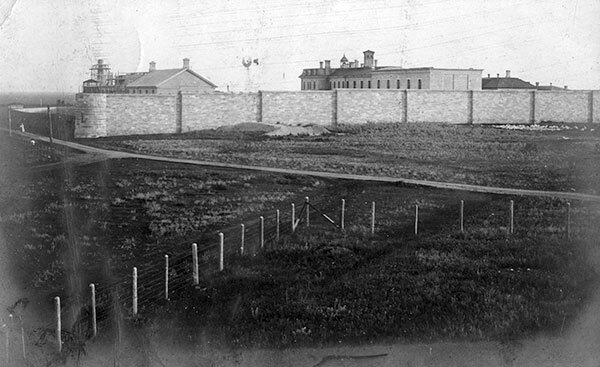 Postcard view of the Stony Mountain Penitentiary, circa 1909. The building at centre-right contained prison cells, the workshop were nearer the road, and the warden’s house was in the background. “Mrs. James Stirton, who came west in ’75, marks 80th birthday,” Winnipeg Tribune, 15 January 1938, page 2. We thank Andrew Cunningham for providing additional information used here.